At Amaz for Hair, we are committed to providing you with the best experience possible. Part of this commitment is ensuring we only use high quality products and color in-salon. To keep your hair happy and healthy in, and out of the salon, our hair-care and styling lines are available for purchase. Our Team is regularly educated on our care lines, and will be happy to help you find a regimen that keeps your hair truly amazing! Give us a call and we'll be happy to let you know if it's in stock, and place it on hold for you. We also provide delivery to hotels and select residencies for a fee. This European powerhouse was all-natural before all-natural was a thing! 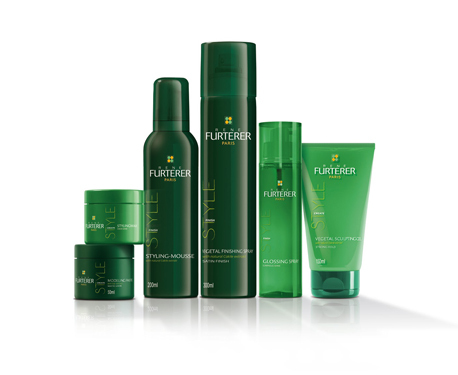 Established 60 years ago by French hair stylist Rene Furterer, the company focuses on healthy hair starting at the scalp using all natural essential oils. In addition to providing luxury results; all product ingredients are ethically and sustainably sourced, pharmaceutical-grade organic, clinically tested, and all products are color-safe. Owner Ava Hastey served as a Council member with Rene Furterer helping to create some of their lines, and has worked with and carried their products for 30+ years. We are proud to have Rene Furterer as our primary care line for our in-salon needs, and at-home care. ​This chic, and environmentally conscious Australian line packs a punch! All Kevin Murphy products are paraben. sulfate, and cruelty free, and all packaging is recyclable. Their philosophy, "skincare for your hair", makes this line's focus to strengthen and rebuild hair while maintaining a weightless finish. Ask us about adding Kevin Murphy to your daily regimen! Established in 1880, Wella has consistently been an innovative source of hair color and products. Wella's adaptive nature and on going education allow us to keep up with the latest techniques and trends in hair. Their extensive selection of bleaches, permanent and semi-permanent dye, and service products allow our stylists to incorporate all of the techniques in their arsenal. With colors ranging from pale pastels to vibrant deep hues, these high quality colors formulated to protect your hair produce stunning results every time. It's no surprise we choose Wella year after year! This newcomer in the color world is sending ripples through the Fashion Color community. "David and Alexis Thurston, creators of nationally recognized brands Butterfly Loft and Butterfly Circus, are the architects behind Pulp Riot, an innovative new hair color company that empowers stylists to think of themselves as artists while providing them with superior paint to create their masterpieces." We are excited to welcome this long awaited line to our salon as our newest favorite for creating high intensity fashion colors! "In 2006, a small group of industry innovators identified an opening in the market: the lack of a viable alternative to the traditional straighteners being used in salons at the time. 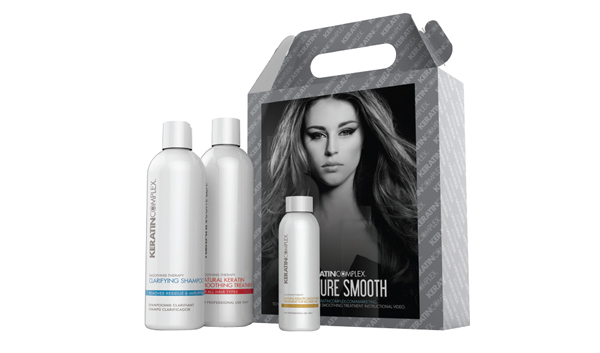 Working with leading chemists and hair-care experts, they realized that the key to creating an innovative treatment that was both gentle and effective lay in harnessing the power of keratin, an essential hair protein that delivers incredible benefits, endless versatility, and a never-before-seen smoothing effect—all without breaking the bonds of the hair. And thus, Keratin Complex was born." Amaz for Hair offers Keratin Smoothing Treatments, deep conditioning treatments, and other bond repairing treatments by Keratin Complex. We also have Last Chance discontinued products offered at a discount. Check out the listing on our specials page.